These are pictures of Scenic Trees from East Texas near Troup, Texas. They are photographic fine art prints, pictures, or photograph by M K Miller III at Regal Photos in Tyler, Texas. These Art prints are in color, sepia, or black and white. This and other photographs can be purchased as canvas prints, art prints, fine art prints, luster prints, or as greeting cards. Mac K Miller does high school seniors, Fine Art, model portfolios, and general portrait photography. This is a picture of Scenic Trees from East Texas near Troup, Texas. It is a photographic fine art print picture or photograph by M K Miller III at Regal Photos in Tyler, Texas. 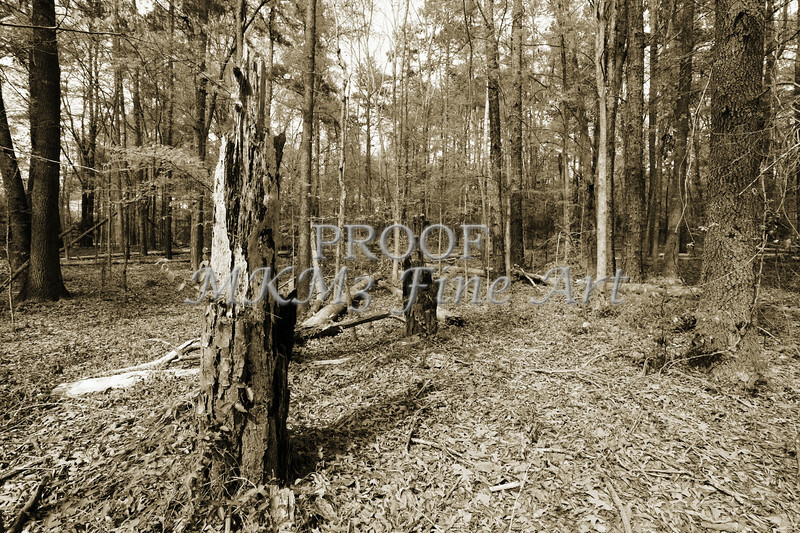 This Art print is in sepia or black and white. This and other photographs can be purchased as canvas prints, art prints, fine art prints, luster prints, or as greeting cards. Mac K Miller does high school seniors, Fine Art, model portfolios, and general portrait photography. Remember, you have a complete 100% money back guarantee on any scenic forest trees photographs purchased from my site. If you are unhappy with your print, you have 30 days to return it to me for a full refund. I absolutely want you to be completely happy with images purchased from me.